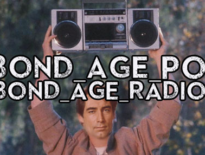 As an introduction to the next series of Bond posts leading up to the release of SPECTRE, the #Bond_age_ powers have come together with a cumulative rank of their favorite Bond theme songs. And yes we’re piggybacking on the release today of Sam Smith’s “Writing’s on the Wall.” This list includes vocal tracks only. So while Matt Munro’s “From Russia With Love” did not open From Russia With Love, it was still the title track. Meanwhile, “On Her Majesty’s Secret Service” does not count (because it is an instrumental) and likewise for Louis Armstrong’s “We Have All the Time in the World” because it is not the On Her Majesty’s Secret Service theme. That leaves 21 vocal theme tracks. We will not dare to rank the new Sam Smith track until we’ve heard it the context of the film. We don’t want to jump to any conclusions (Jay, excepted perhaps. He’s planning pickets and gathering pitchforks). For our next list, you, the reader/Twatterer/#Bond_age_ junkie can suggest a topic and submit your own list. You will then choose your opponent (either Jay, Krissy or Greg) to a List Off, Iron Chef style (Iron #Bond_age_, eh?). Everyone else will choose a winner, mock our choices or cause general havoc down there in the comments of the page. With all that logistical nonsense out of the way (where’s Moneypenny? ), here’s our ranking of the 21 Bond themes, highest ranked to lowest because we don’t believe in that delayed gratification anyway. Hand out the big awards first and then hang around for the snark about Sheryl Crow. Ready? Let’s take a sonic journey through 50 years of Bond. 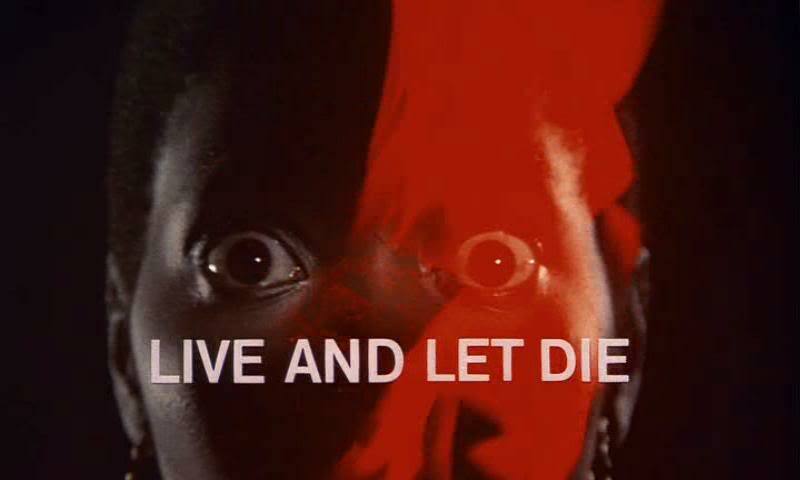 Greg: It appears I’m alone in this, but I rank “Live and Let Die” the highest simply because it’s part of the best Bond soundtrack ever. George Martin nailed it from the start, making a truly iconic score. How iconic is it? It’s so iconic it’s the only Bond theme I know that appears on *another* film’s soundtrack (take a bow, American Hustle). Add to that the fact that it’s lipsynched in American Hustle by Jennifer Lawrence, and it’s no contest, really. Jay: Unfairly overshadowed by her “Goldfinger” theme, the reigning Bond theme standard-bearer, Bassey’s “Diamonds Are Forever” is likely slept-upon due to the lackluster film with which it is attached. Remove “Goldfinger” from Goldfinger and remove “Diamonds Are Forever” from Diamonds Are Forever and tell me with a straight face that you think “Goldfinger” is more listenable or more enjoyable than this. Go ahead. I’ll wait right here. Jay: Dance. INTO THE FIRE! Back in the 1980’s Bond dove headfirst into the pop-music wading pool despite the poolside “No Diving” signs. A View to a Kill gave us this legendary track. A few years later The Living Daylights gave us the underappreciated track from A-ha. The notion of Bond turning the theme song over to a Top 40 Pop band not only angered John Barry but many Bond fans as well (hell, it still angers some Bond fans – I blame the Lobster Trappers). What we’ve forgotten (and what I also tend to forget) is that Bond themes come in many different shapes and sizes. It might not be a “pure” Bond theme, but “A View to a Kill” is a killer jam, proof (along with “Live and Let Die”) that occasionally the Bond theme can also be a headphone thumper away from obscured, unclad ladies. Greg: My first Bond film seen in theatres was A View To A Kill, but The Living Daylights was the movie that really made me love the “new” Bond films. And I was a fan of A-ha at the time (still am, to be honest), so that’s why I rank it so highly. It works so well with the story of the film. Though I do have to admit that, between Barry’s version and A-ha’s version, I do prefer the Barry version. So maybe not *that* much of an A-ha fan. 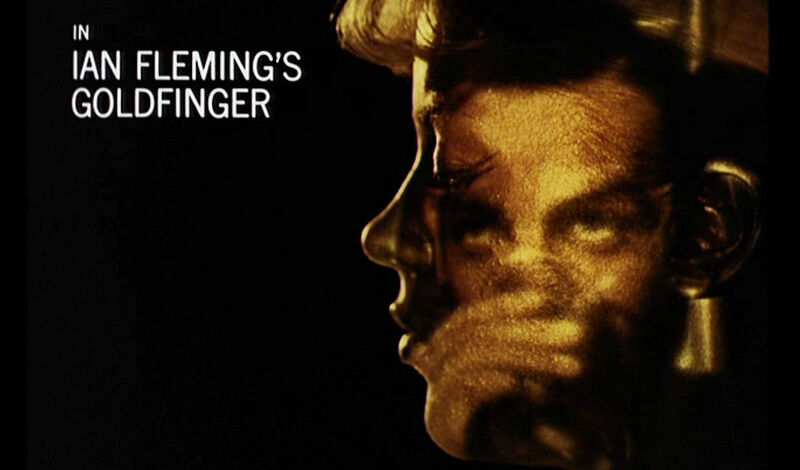 Jay: It might not appear on my “Killer Jamz” Spotify playlist, but it’s impossible to argue against Shirley Bassey’s “Goldfinger.” It’s the song that launched the “Bond theme” as its own micro-genre. Broad vocal ranges. Impossible highs and lows. Massive, sweeping orchestration. What more can you say? It is and forever will be the “gold” standard. Krissy: This is the kind of song I would love to get down to with Timothy Dalton’s Bond, if I were ever to be blessed with such a pleasure. Gladys Knight’s phrasing cuts like a knife, plus TDalt’s piercing smolder. Love that soul, too. There are not many Bond themes that have “ooohs” and “ooh baby’s” in them. Slay, Gladys, slay. Docked points merely because it’s not a particularly iconic Bond, but rated higher because it’s just a great 80s slow jam. Jay: The past haunts Adele’s “Skyfall” just as it does James Bond in the film. 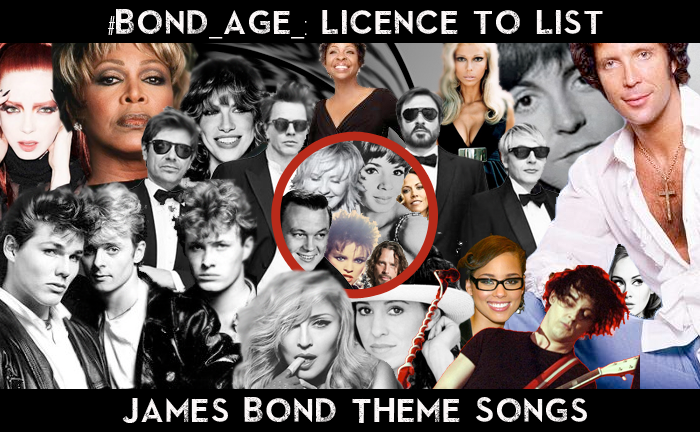 The nostalgia of Bond, the specter of Shirley Bassey. The clear effort to create a title track cut from Bond’s symphonic past. Many brash and ballsy women have tried to recreate Bassey’s bravado on “Goldfinger” and “Diamonds Are Forever”, but only Adele has carved out that slice of Bassey while reserving the rest for her own gifted strengths as a chanteuse. I harbor mixed feelings about the movie; not so with the theme song. Greg: With a film title like The World Is Not Enough, the producers needed a theme with a big sound. Shirley Manson’s vocals and the band’s performance filled the role nicely. Besides, much like Oscar the Grouch, I’m a big fan of Garbage. Greg: Casino Royale was all about deconstructing James Bond and rebuilding the franchise around Daniel Craig. To that end, David Arnold had to deconstruct the old theme, construct a new theme, and then give us the old theme again at the end. With Chris Cornell’s help, he did just that, giving all of us Bond fans a high energy jolt as we watched a new Bond being born. It also helps that it was paired with arguably the best Bond title sequence! Greg: Looking at my list, it’s not lost on me that the majority of my choices are themes which coincide with big change in the series. After License to Kill, there were no guarantees we were even going to get a new Bond film. Then GoldenEye was announced, and with it, a new Bond played by Pierce Brosnan, the man who was supposed to take over after Moore. But thanks to TV network shenanigans, he got shafted. His time had finally come around again. The theme to GoldenEye, written by Bono and the Edge, has a fantastic duality to it, as it echoes story elements from the film and from Bond’s influence on Brosnan’s life. Top it off with the classic sound of Tina Turner. It’s a winner. Krissy: I actually prefer the John Barry instrumental played over the opening credits, but Matt Monroe’s version isn’t too shabby. I can’t help but wonder if this would have been better with a stronger crooner like Frank Sinatra, though. Could have hit the Top 10 with stronger vocals. Krissy: The first 20 seconds of string orchestration on the theme for You Only Live Twice is like listening to someone’s most wild and wonderful James Bond pleasure ride. I always go back and forth on whether or not I like Nancy Sinatra’s vocals on this one, though. Sometimes I think her wispy and more delicate voice is perfectly suited. Other times I don’t feel like it’s not powerful enough to compete against the music. It JUST cracks the Top 10 because of those blissful, beautiful strings. Jay: It’s a heinous crime that Sheena’s slow jam for For Your Eyes Only fell as low as 15 on this countdown. If I’m pointing fingers, I’m blaming the genius that saw fit to put her mug in the title credit sequence. Not even Madge managed that brand of solipsism. Listen, I know that Sheena could be bit Gozer the Gozerian at times, but “For Your Eyes Only” works. Not just because the movie’s “adult contemporary” Bond, but because the ballad has some tremendous vocals and just oozes early 80’s. And, quite frankly, 1980-1985 is always a welcome kind of ooze. 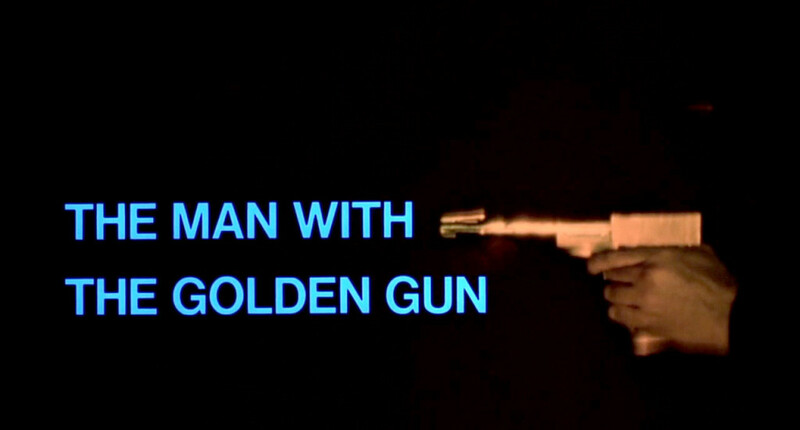 Greg: I quite enjoy “The Man with the Golden Gun” even with the OTT lyrics. It’s funky, bold and brassy, as is Lulu’s singing. I think it would have been even better, though, if instead of Lulu, they’d had Lee sing it. As in Christopher Lee. That would have catapulted that motherflipper beyond the funky. Greg: I confess that I don’t hate “Another Way to Die”. I can certainly understand others who don’t like the mix of vocals, and think that the duet between Jack White and Alicia Keys was a misfire. But if you listen to the music, as opposed to the lyrics, it will go down much easier. Trust me. Krissy: I’m never quite sure where to place this on my list, so it sits firmly in the middle. It’s definitely a beautiful song but an underrated, often forgotten Bond theme… despite the fact that it’s sung by Bond’s most prolific and iconic singer, Shirley Bassey. It might be a case of Bassey outdoing the wispy instrumental. If it wasn’t the theme to the much maligned Moonraker and a little better balanced, I think this would easily rank up among the other two Bassey themes. Krissy: Stop singing through your nose, Sheryl Crow. Just stop it. It’s not appropriate for a Bond theme. k.d. lang’s song on the end credits is a thousand times better than this. Jay: That I tolerate “All Time High” is apparently the best we could say about Rita Coolidge’s geriatric ballad for aging swingers. It’s apparently why the Bond producers took a different tact with the theme for A View to a Kill. Has there even been a sonic shift as violent between two Bond films themes? To be fair, “All Time High” has more than enough merit as a major motif in John Barry’s score for the film to at least rank it higher than #20. Like #17 perhaps, right guys? Jay: I drew the short straw with this final, late addition to the Bond theme rankings because I dared to lower my ranking of this song after seeing it in context. I didn’t like the song before, and even layered over the inky octopus tentacles and Binder homage, the opening credits felt interminable. Recently Sam Smith admitted that it took him 20 minutes to write this thing and now calls it terrible to sing. I can’t blame Sam Smith for this. He’s at home rolling around in his pile of cash. Meanwhile we’re saddled with saggy treacle after a rousing opening to Spectre. Newman’s reprise during Bond’s romantic interlude proves the music could stand on its own… but yet… here we are… at #21, mere tenths of a point lower than “All Time High,” which in comparison feels like a righteous marching band halftime jam. Jay: Oy gevalt, eh, Madge? “Die Another Day” is the most universally loathed Bond theme for good reason. It fronts the most universally loathed Bond movie. This charge of Bond soundtracking fell into Madonna’s lap during her Ray of Light era, an era that coincided with the rapid decline of electronic music in popular culture. From a certain perspective, this artificial, soulless track prefaces the most artificial and soulless Bond movie. I have no doubt that Madonna was (and is) perfectly capable of crafting a solid track for a James Bond movie. But “Die Another Day” is an epic misfire, a song so utterly rooted in the period in which it was conceived that neither nostalgia nor time will be kind to its enduring infamy. (And for the record, the extended, remixed version of this very theme — the more soulless, more electronic version — is actually the better song.